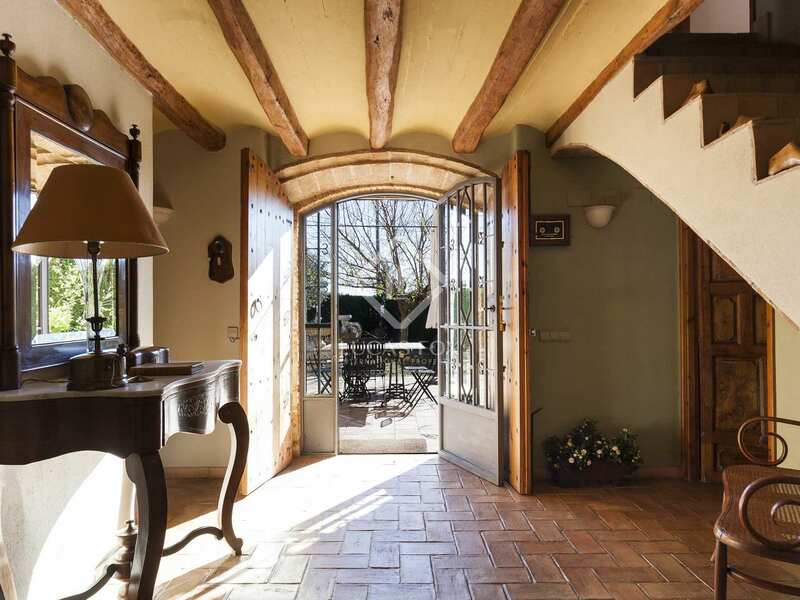 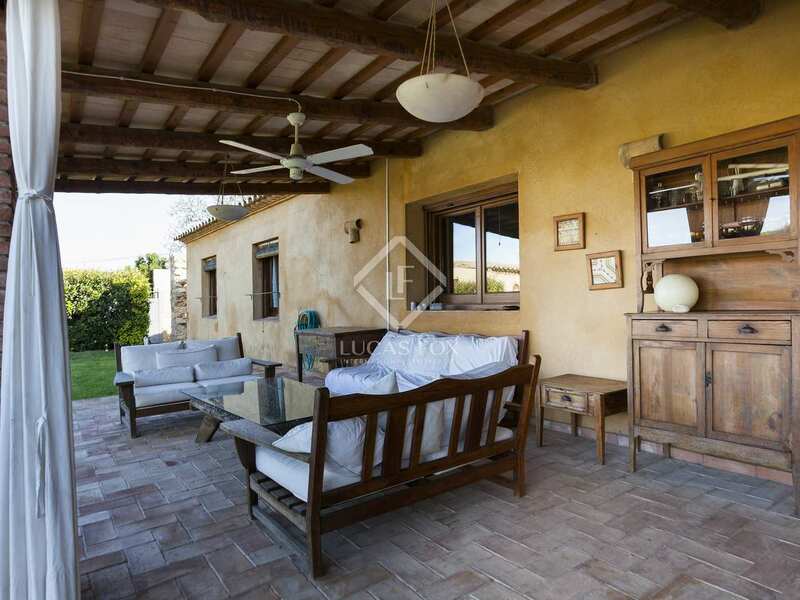 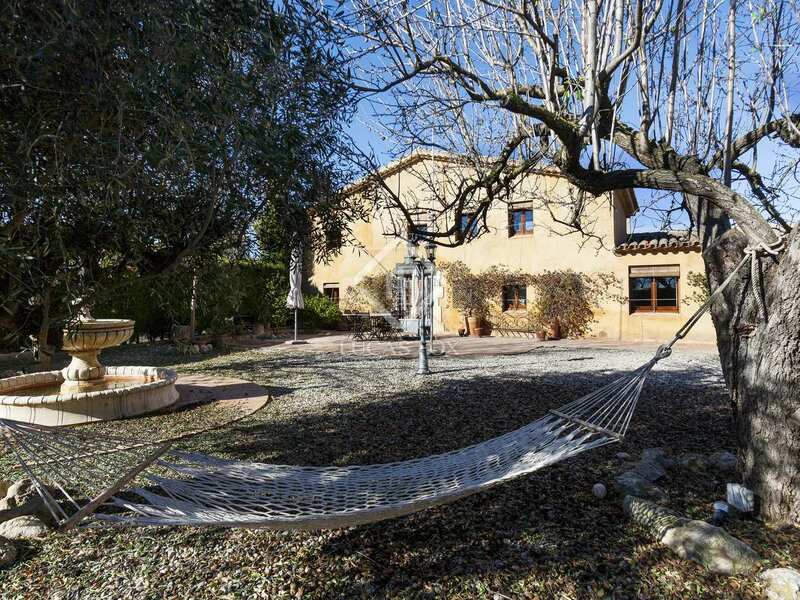 This wonderful country house enjoys a privileged setting on 1 hectare of private land, surrounded by vineyards and with other country properties nearby. 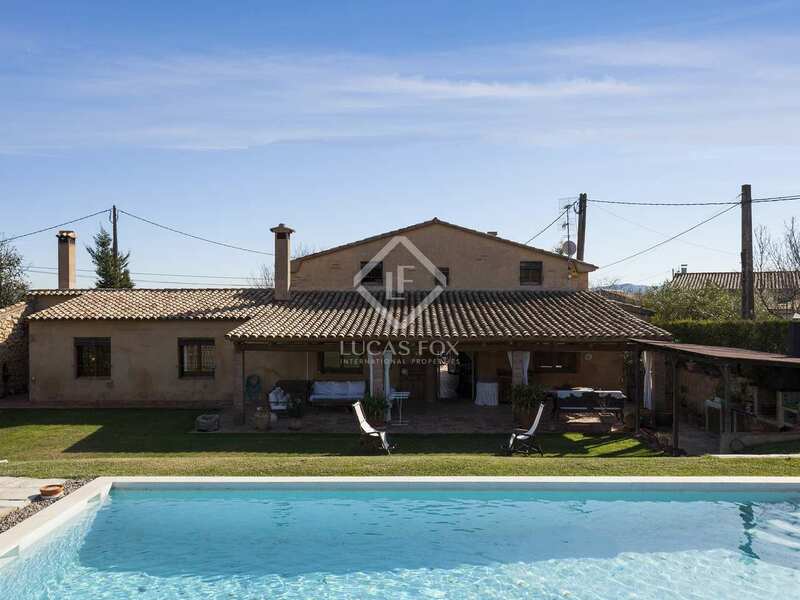 It is just 10 minutes from Vilafranca, Penedès and 25 minutes from Sitges town and its beaches. 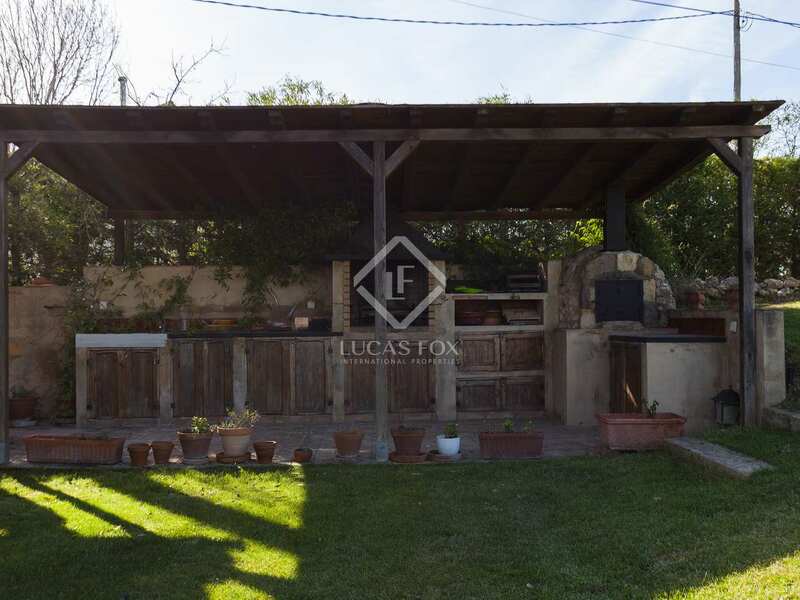 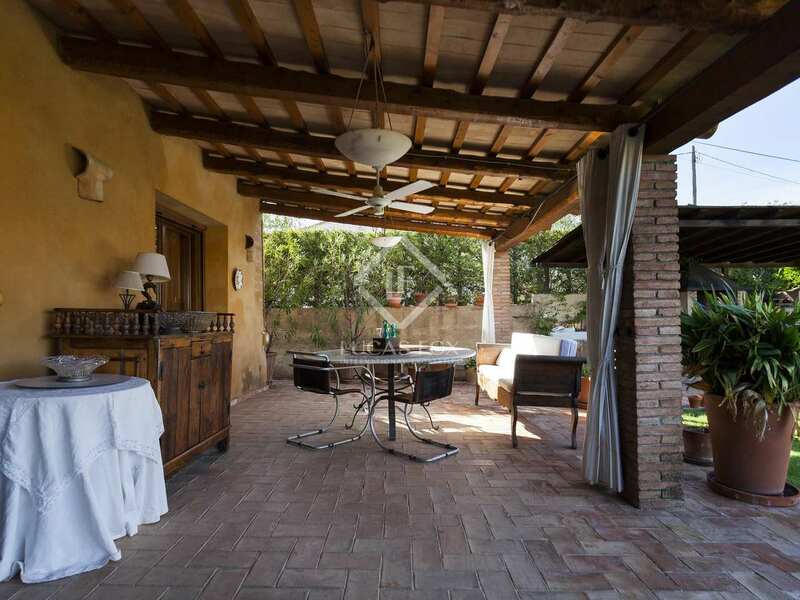 The generous plot features a lovely front garden with terraced area, trees and a fountain that is bathed in the morning sun and a covered terrace at the rear of the house with a seating and dining area and an outdoor kitchen with large barbecue and traditional wood oven. 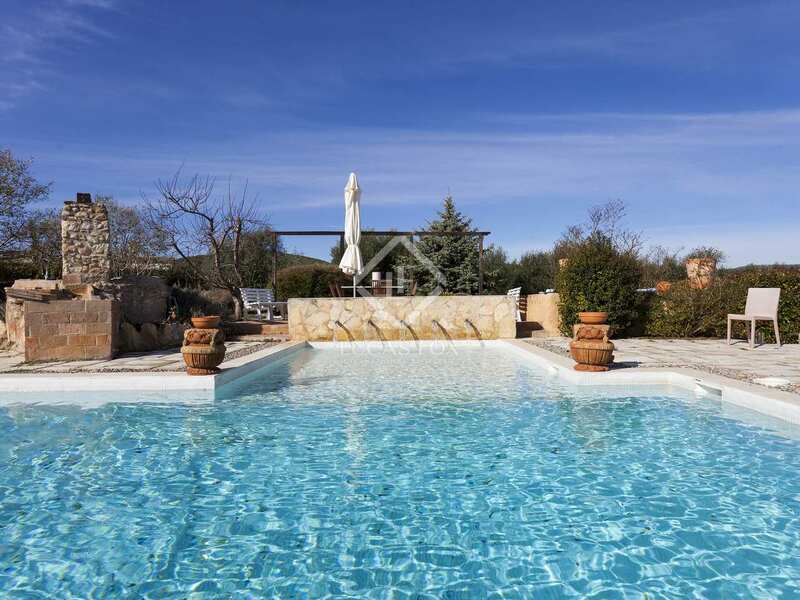 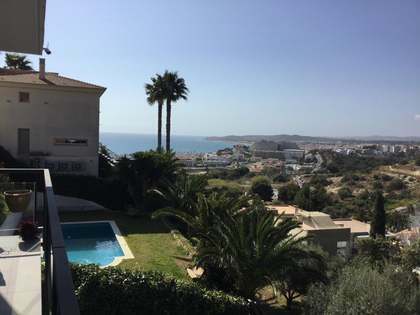 There is a lawn and large pool of 5 x 10 metres with jets, enjoying the afternoon sun and offering beautiful views of surrounding countryside and vineyards with Montserrat in the distance. 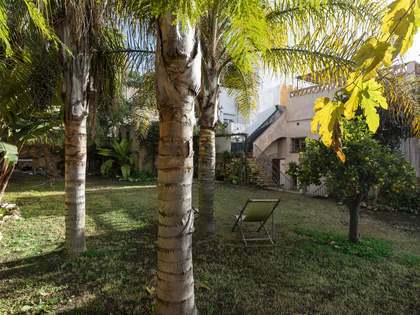 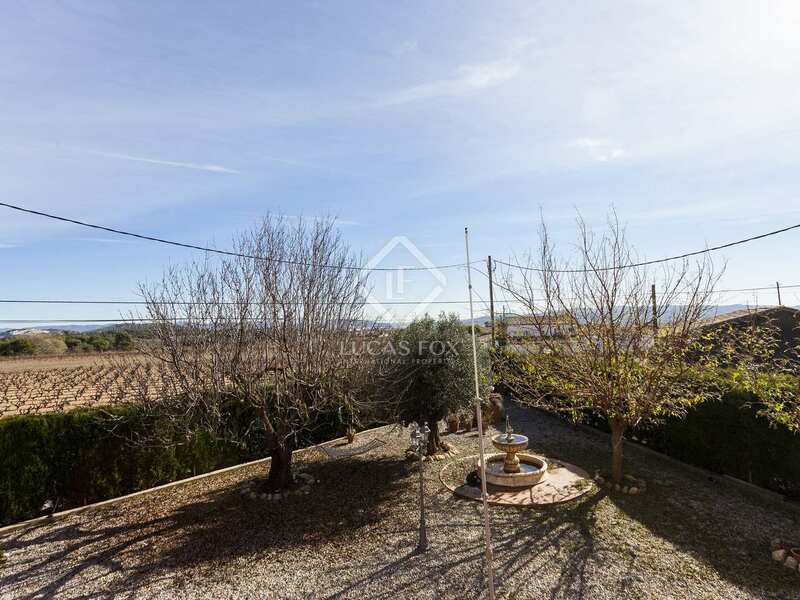 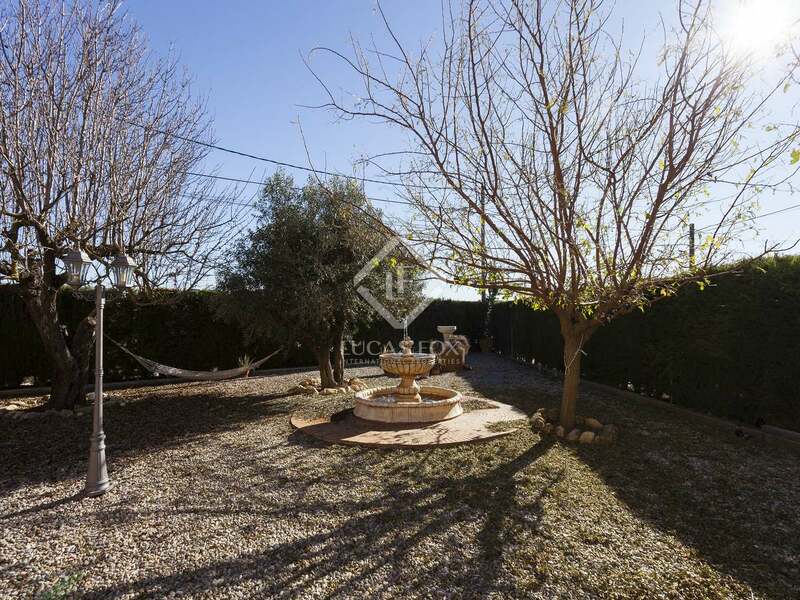 What's more, the plot is home to many fruit trees (almond, pear, cherry, apple, grapes, olives, figs, kakis, pomegranates) and an independent guesthouse of 80 m² in the garden with kitchen, living room, 2 bedrooms, a bathroom and a private terrace. 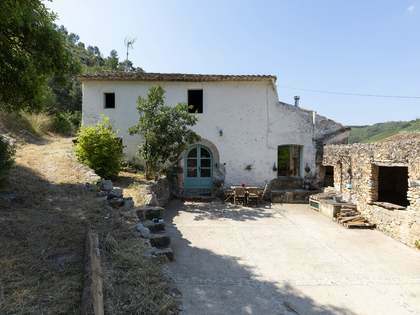 The detached house was built with authentic materials with features such as antique doors, traditional clay floor tiles, exposed wooden beams, large open fireplaces and a marble sink which are combined with modern day comforts like underfloor heating, ceiling fans, solar panels and an eco heating system with pellets. 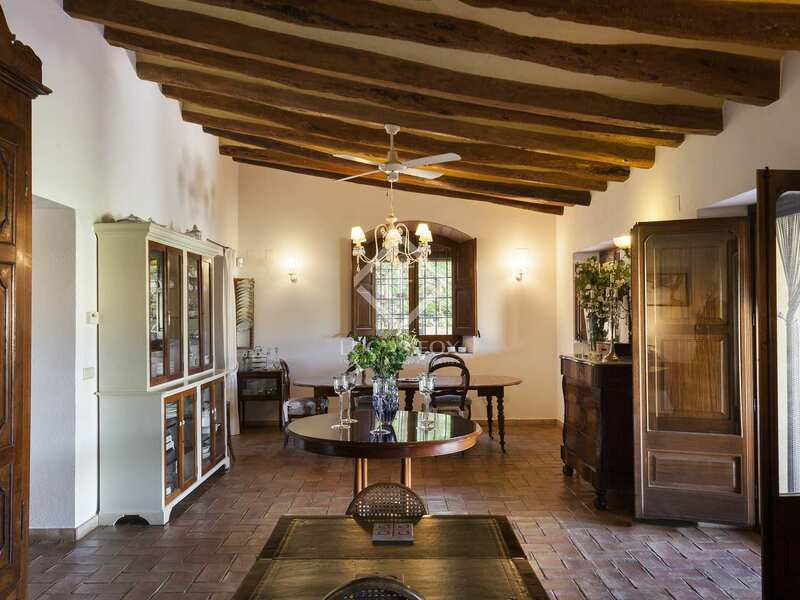 The ground floor opens up through an entrance hall from the garden with glass and iron doors that allow natural light inside. 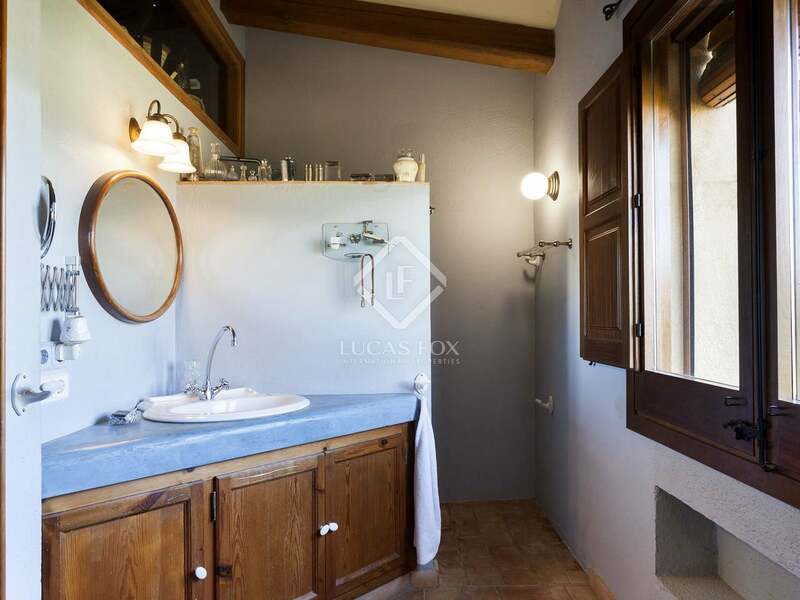 Here we find a guest toilet and straight on are large double doors leading to the spacious living - dining room with a fireplace and access to the covered porch overlooking the lawn and pool. 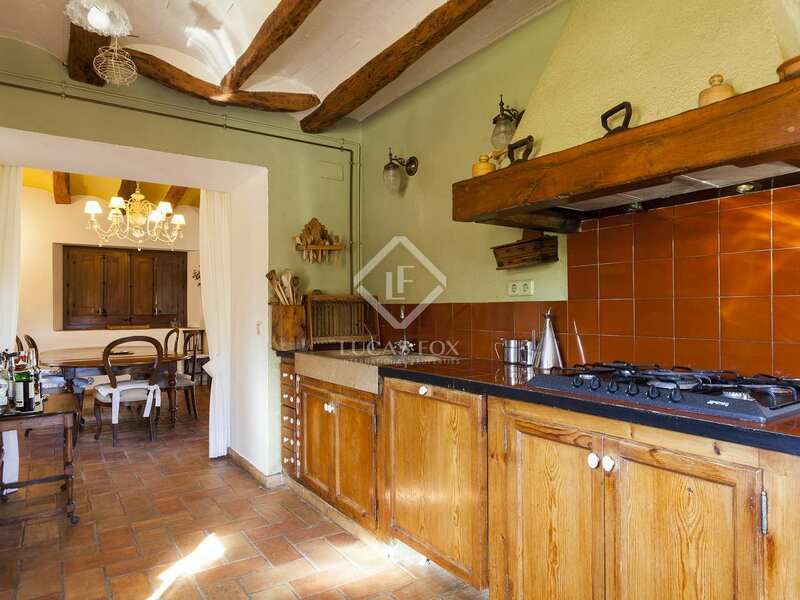 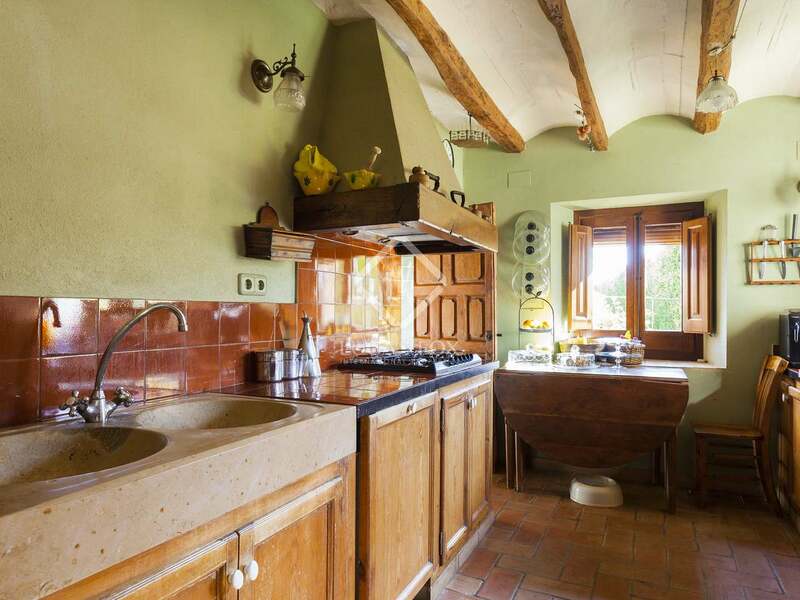 On the left is the traditional fitted kitchen with wooden cupboards and large double marble sink, a separate pantry and direct access to the dining area. 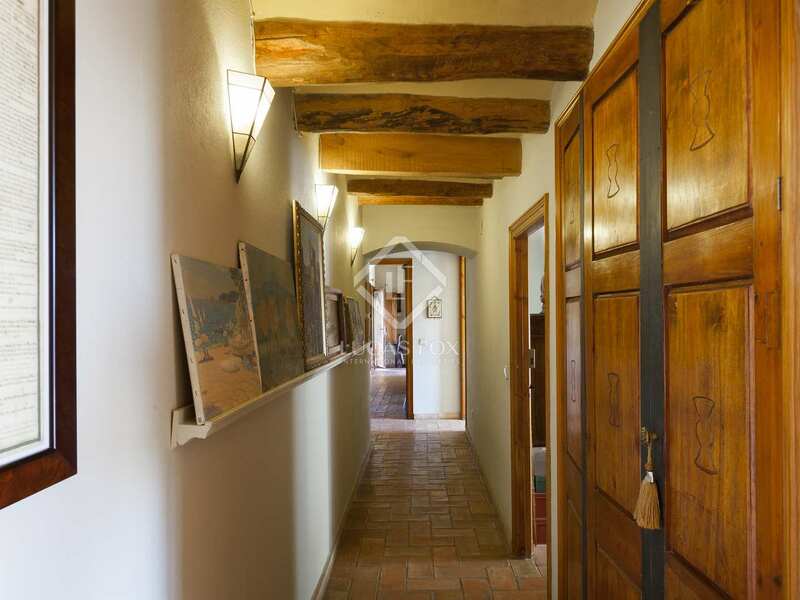 On the right is a corridor leading to the sleeping area with built-in cupboards, a study or bedroom, a double bedroom with an en-suite bathroom and the large master bedroom with an en-suite and dressing room. 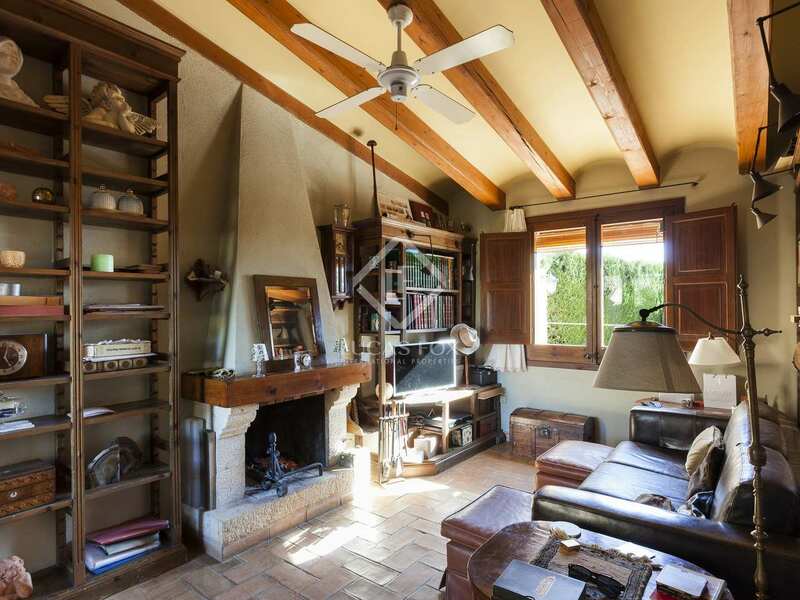 There is a second living room with a fireplace and access to the garden. 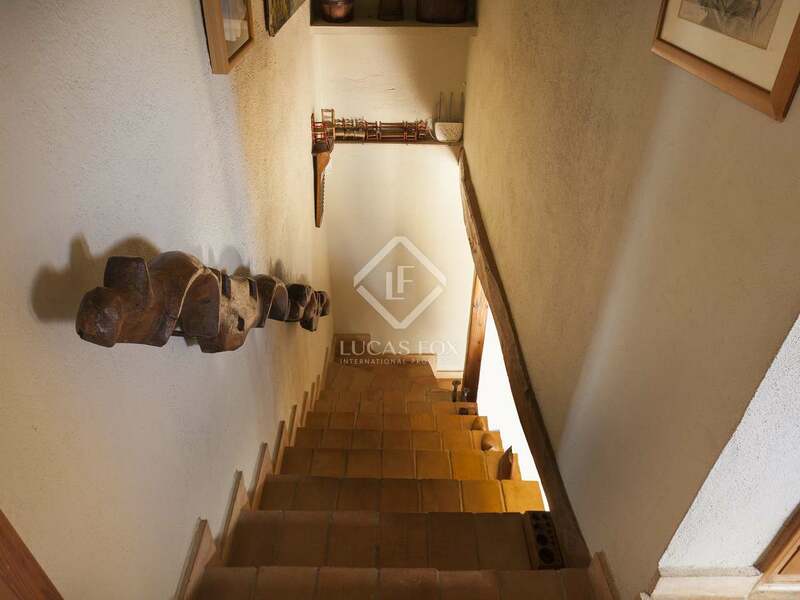 Stairs from hallway lead to first floor where we find 2 large double bedrooms and a bathroom with a bathtub and hydromassage jets. 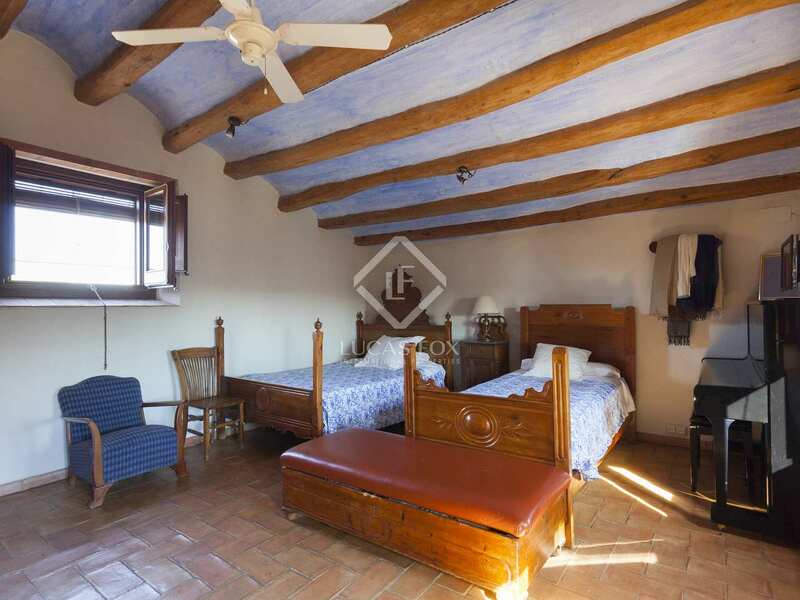 In total there are 7 bedrooms, including the 2 in the guest house, and an extra living room that is currently used as library but could be an eighth bedroom is necessary. 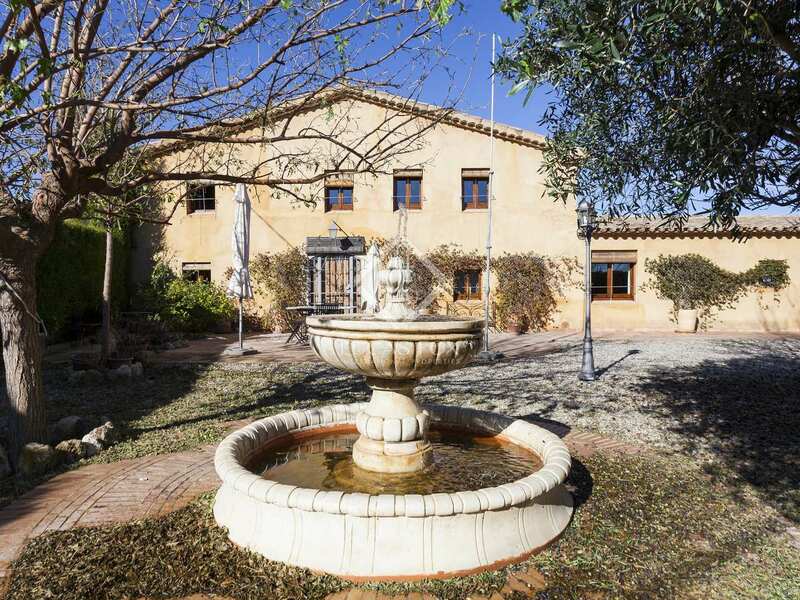 A stunning family home or second residence in the country with the possibility to rent it out or run a boutique guesthouse. 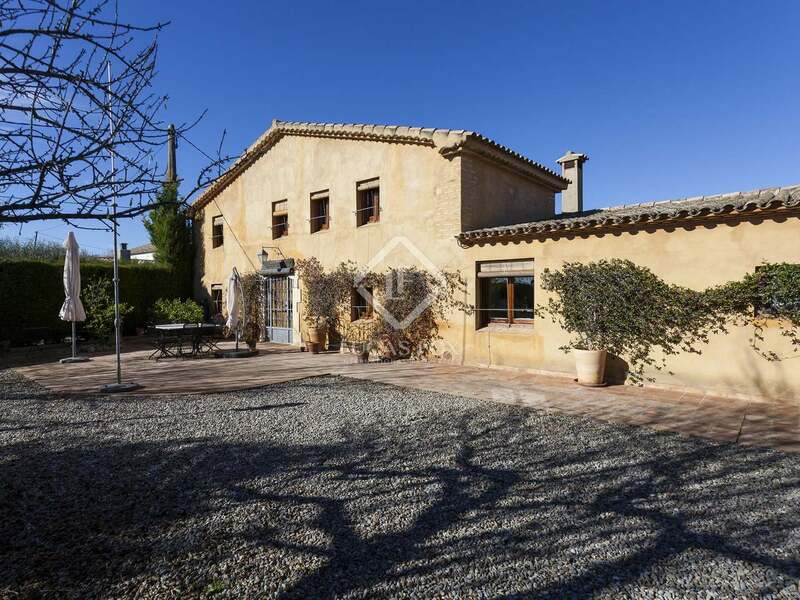 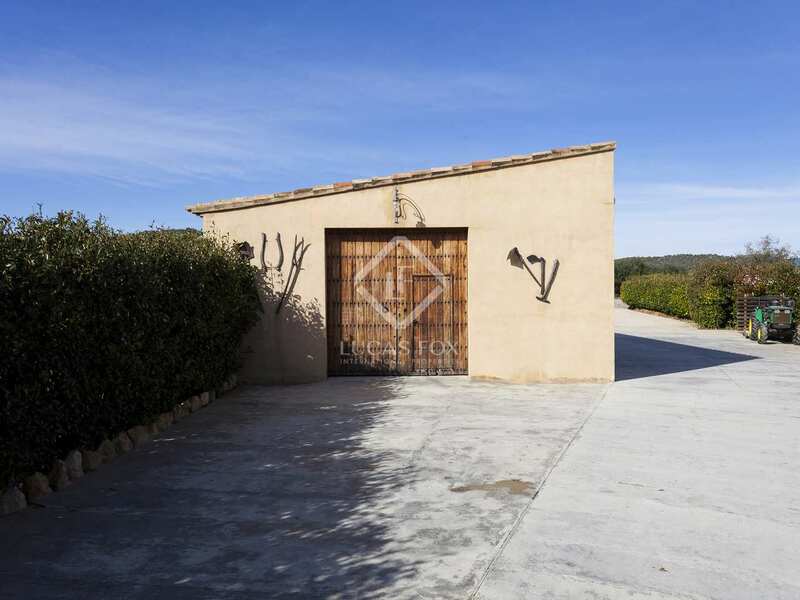 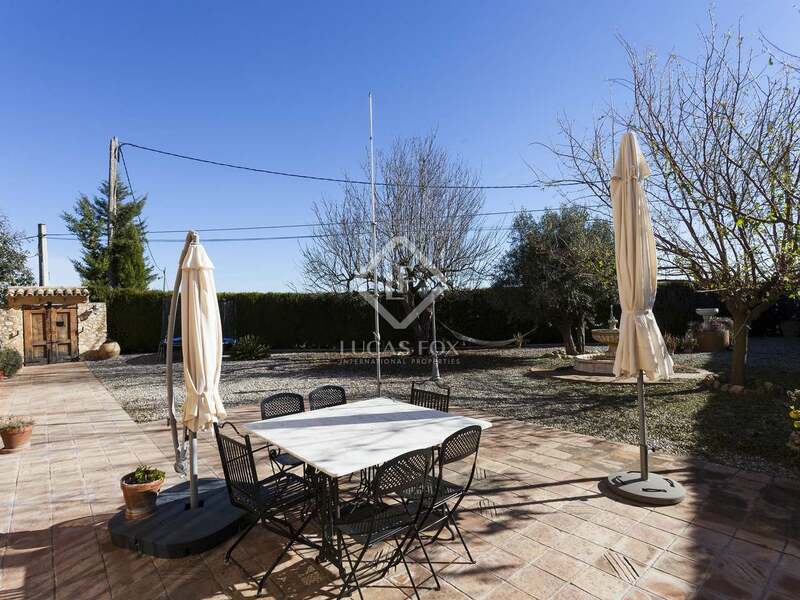 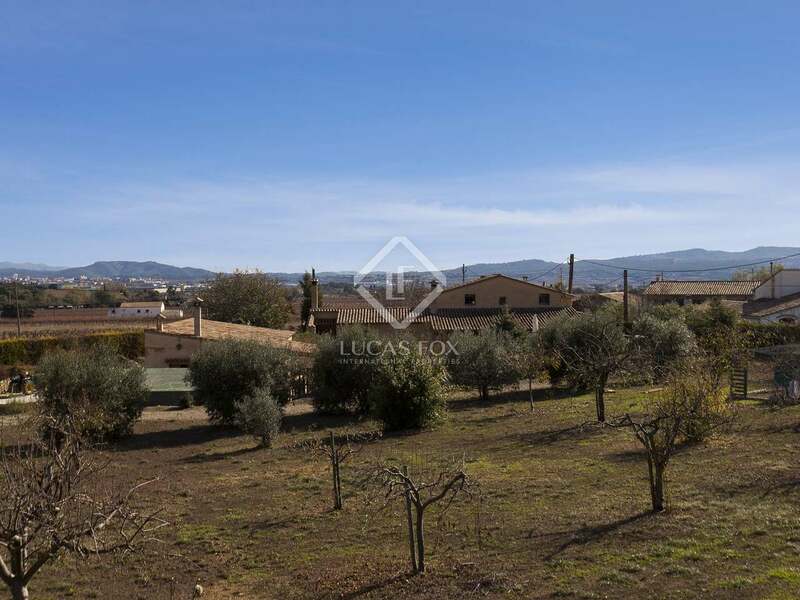 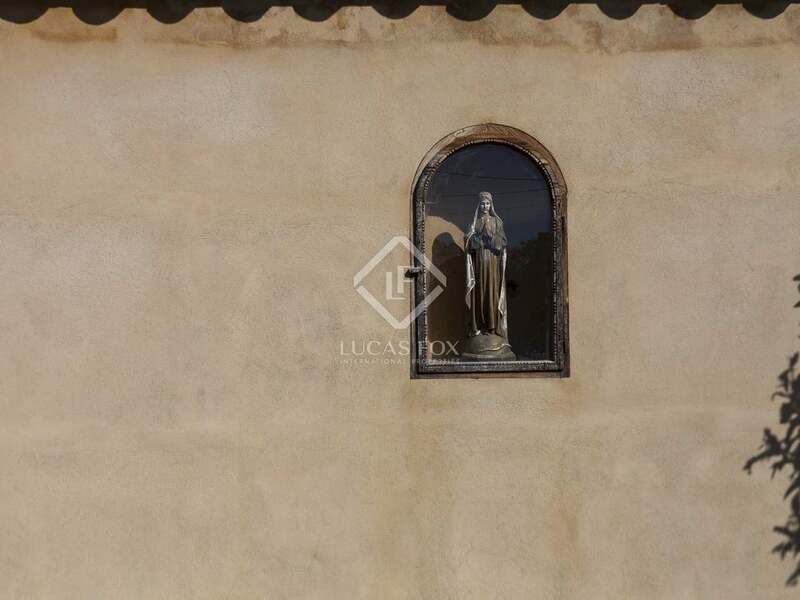 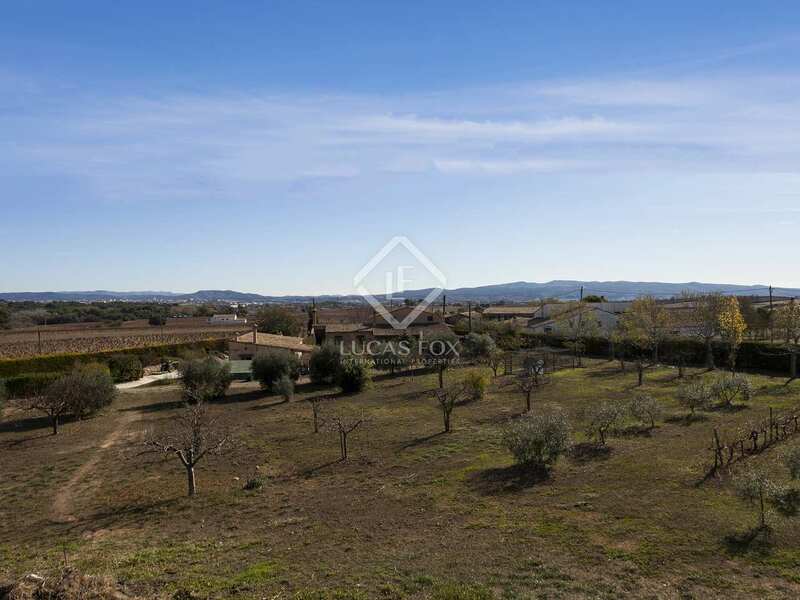 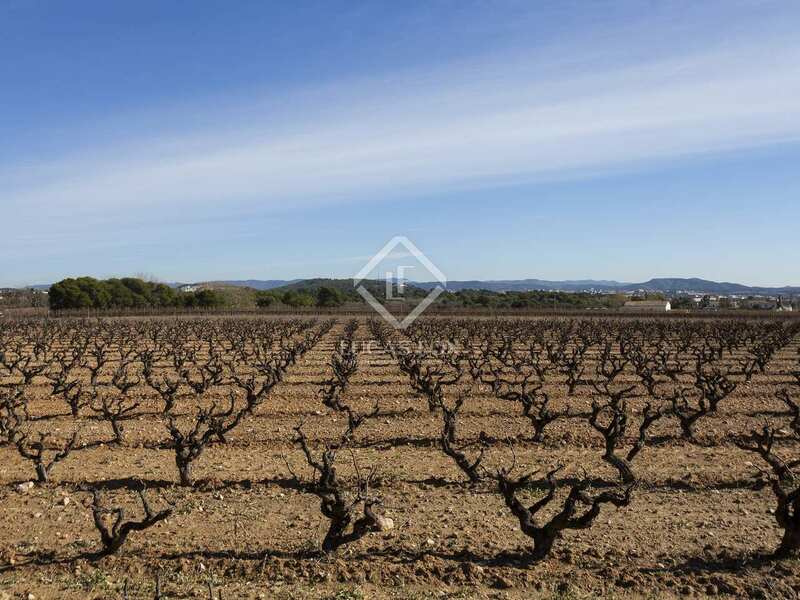 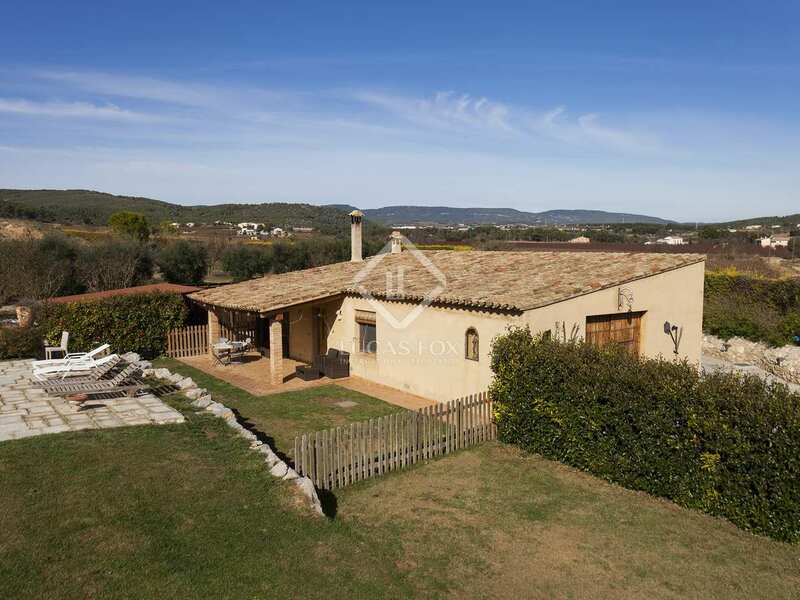 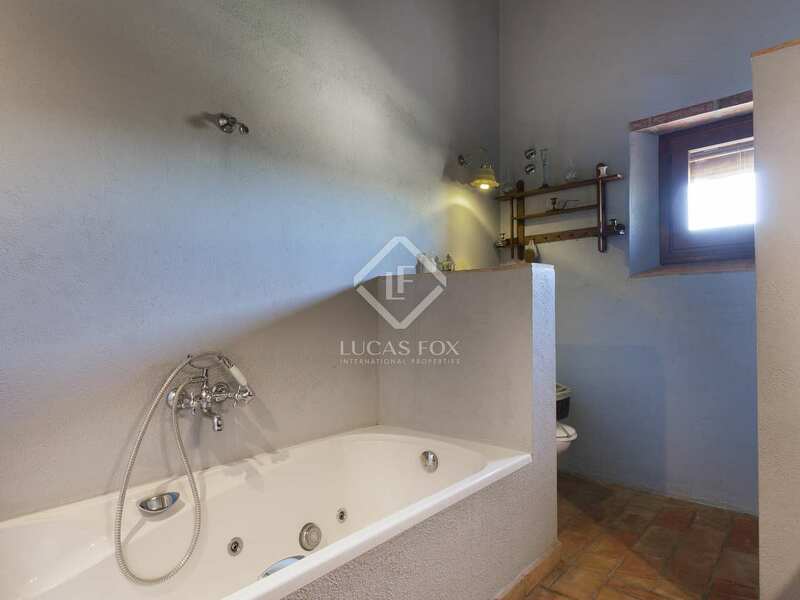 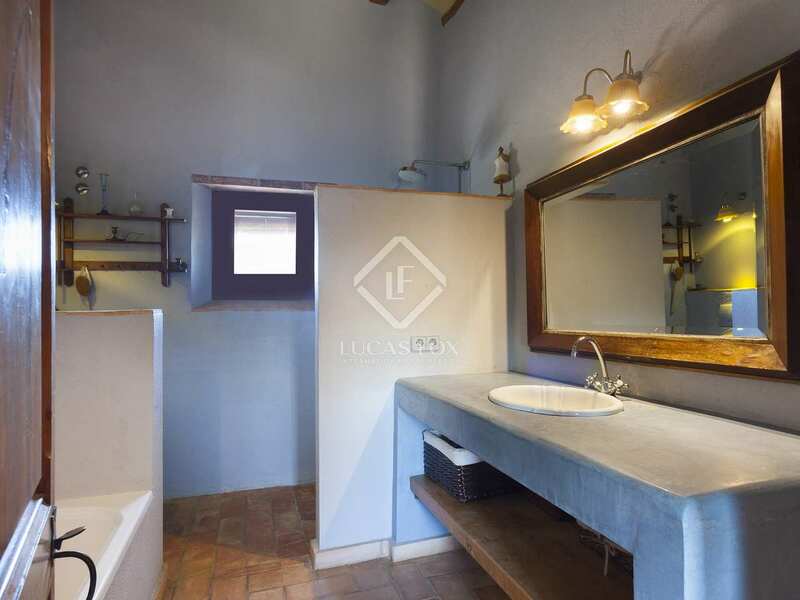 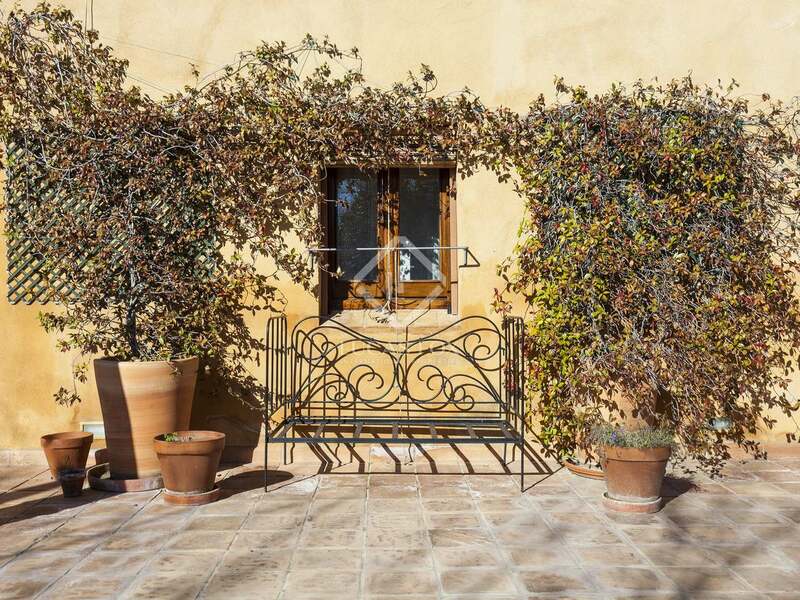 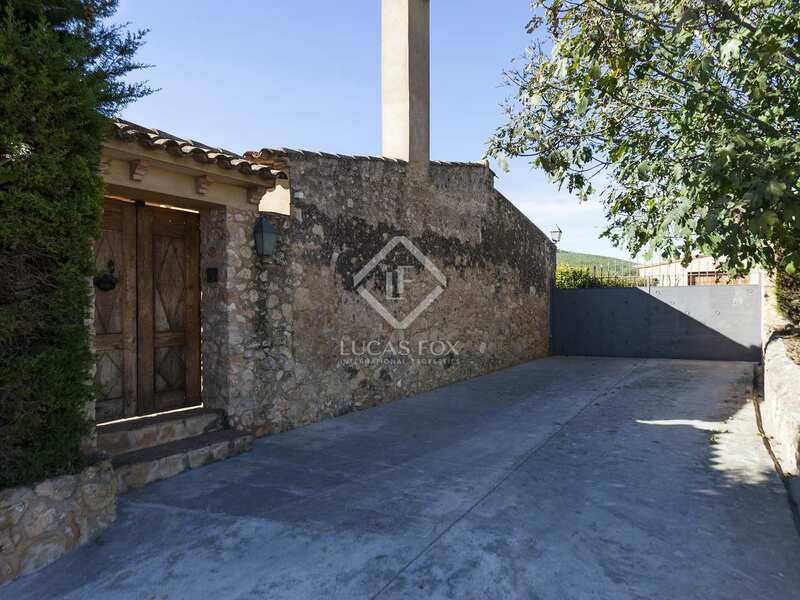 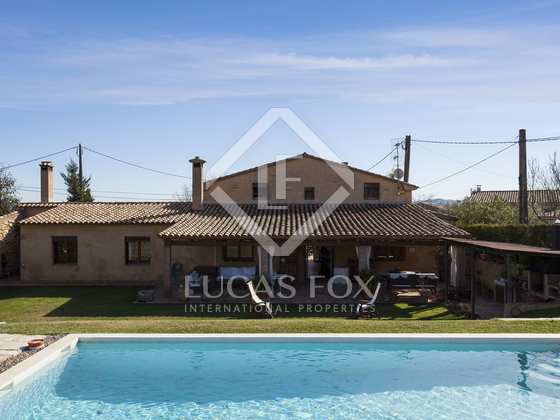 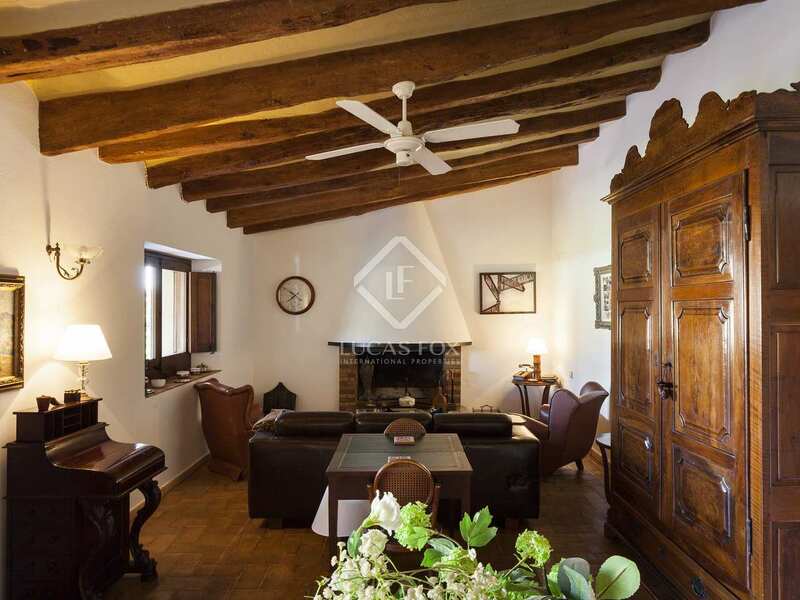 Small estate located in a hamlet in the middle of beautiful Penedès wine growing country with other traditional farmhouses nearby. 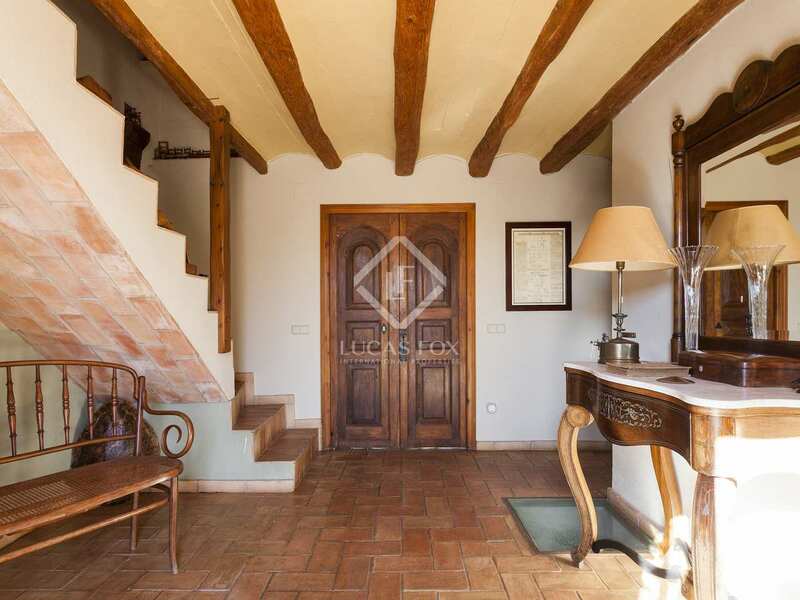 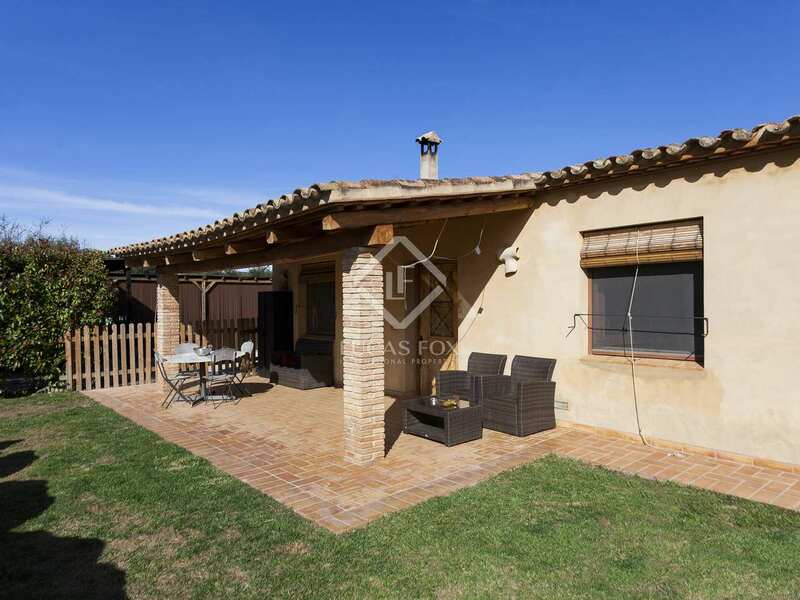 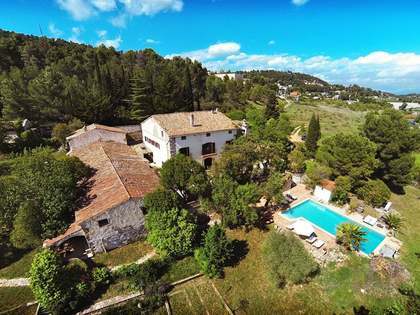 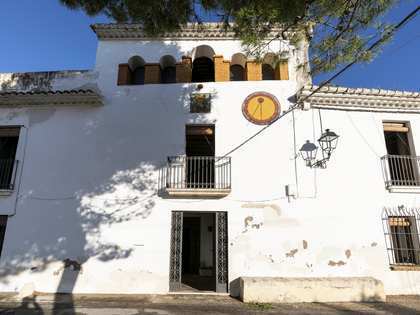 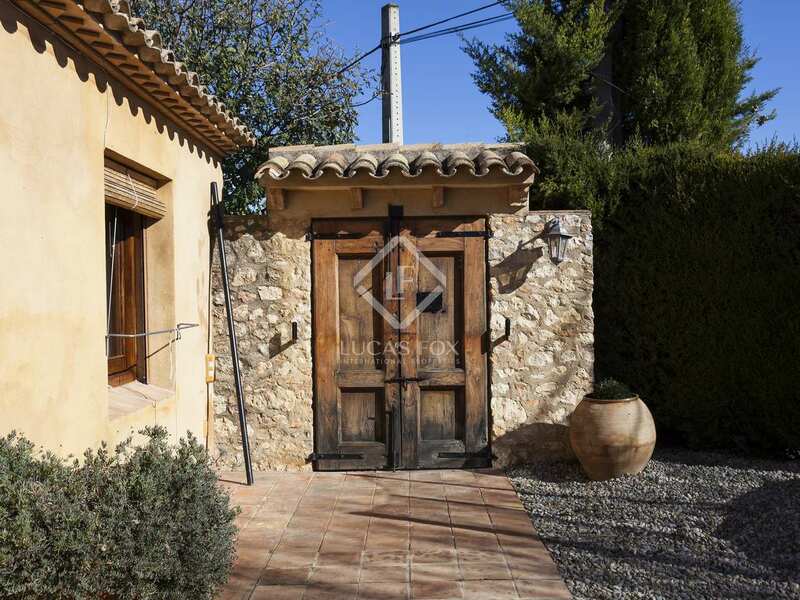 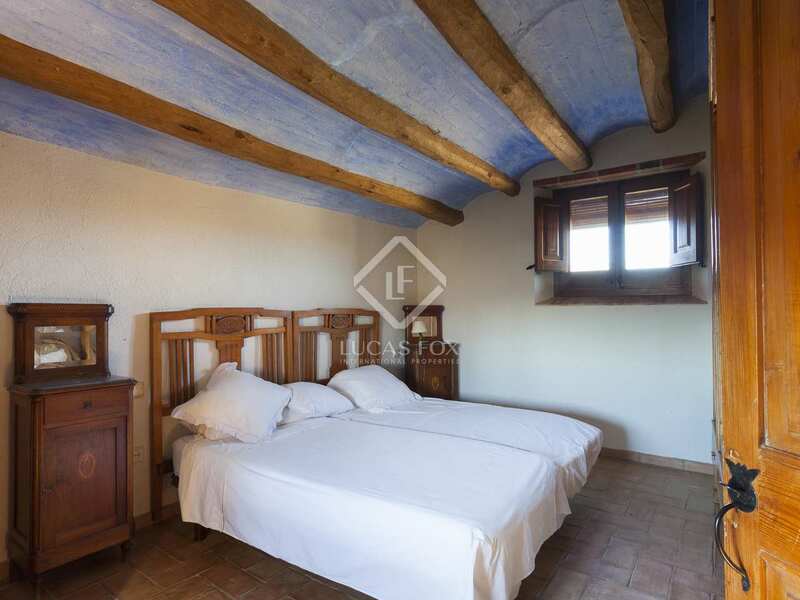 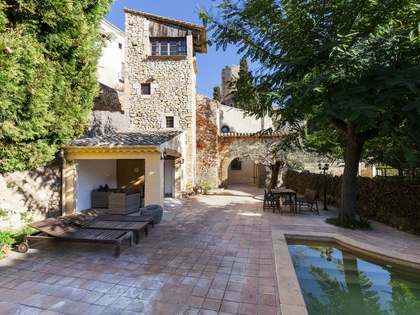 It is just 10 minutes from town of Vilafranca and 25 minutes from Sitges and its beaches.